With the thousands of digital media campaigns we create and optimize each year, we know first-hand about the ever changing digital marketing landscape– online and mobile media, real time bidding via our agency trading desks, paid search, native ads, content partnerships, mobile apps, video, social networking advertising and beyond. To build your plan, we comb through your past history, our own experience with other clients, use third party databases, rely on our industry contacts for suggestions, use search engines to find niche ad inventory, and scrutinize audience information provided by potential media partners to find the right audiences and placements. While there are many “easy” media placements that on the surface appear appropriate, our detailed, investigative approach dramatically improves results. Before we start, we will work together to ensure we track results from the moment we serve an ad to the time a prospect turns into a customer. 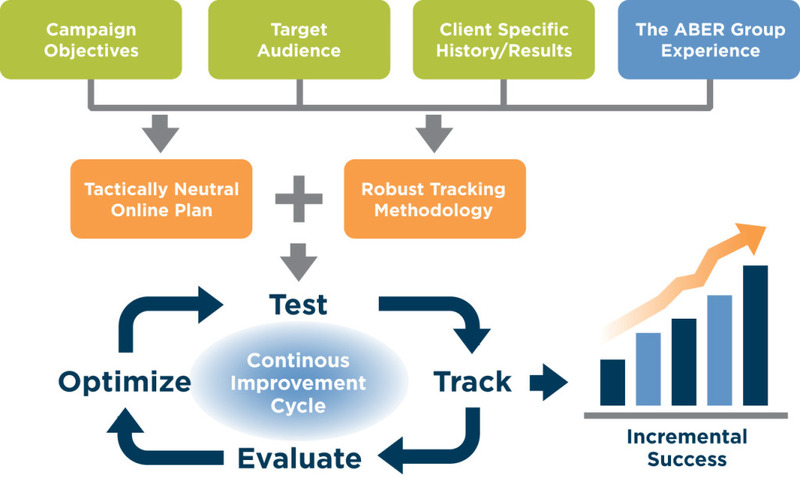 With daily campaign optimization based on real time, objective data, we improve your campaign results continuously.